The last one left at home with her mother, Dorothy Lynn Dunbar longs to see the world outside of her small Ozark town. Even though she has her music, her family, and a fiance, she can't help but think that she is missing out on life. When she travels to St. Louis, Dorothy Lynn is thrown into the path of charismatic evangelist Aimee Semple McPherson. Given the opportunity to travel as part of Aimee's team, Dorothy Lynn follows the dynamic speaker to California, where she discovers that all that glittered during the Roaring 20's is not gold. While I think that Allison Pittman is a very talented author and I have loved some of her other stories, I feel like this one was missing a little something. It is an interesting story though, and I loved how the story goes between two different time period's of Dorothy Lynn's life. I had never heard a thing about Aimee Semple McPherson, so I found her story worth investigating more, as she was a woman ahead of her time. If you are interested in the Roaring 20's, then this is just the book for you! Welcome back to Hickory Hollow! 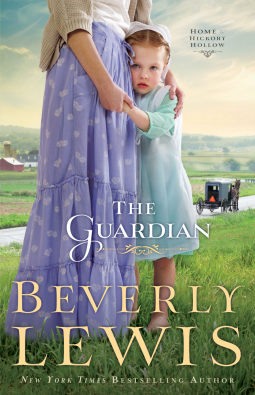 The Guardian is the 3rd book in this series by popular author, Beverly Lewis. Jodi Winfield is looking for peace after losing her only sibling, Karen, to cancer six months earlier. No longer on speaking terms with the Lord and estranged from her fiance, she arrives in Hickory Hollow to house sit. When she comes across a lone child sleeping by the side of the road, Jodi's life is forever changed. It has been some time since I last read one of Beverly Lewis' books. While reading The Guardian, I was reminded just how nice her stories are! Set in a simpler lifestyle, the story flows nicely as Jodi seeks to come to grips with why the Lord took her sister so soon. I haven't read the previous books in this series, but that didn't serve as a disadvantage, since this novel does well as a stand alone story. I received this through Netgalley.com for my honest opinion. Hannah McDermott is tired of always coming in second place. Starting in school, she always missed the things she really wanted by a hair, losing out to her best friend. Now that she is a wedding photographer and owns her own company, she has decided that her days of finishing second are over. When the opportunity comes to photograph a celebrities wedding, she jumps at the chance to beat out her competition. Armed with her grandfather's Irish wisdom and her new friends, the Rossi's, Hannah tries to figure out what the Lord is teaching her through it all. I loved this book! The Irish proverbs and limericks were a fun way to start each chapter, and I fell in love with both Hannah's predictable Irish family and the craziness that follows the Italian Rossi's. The message of this novel was just what I needed to read! Whether you have read the Weddings by Bella series or not, you will fall in love with this story and the characters. 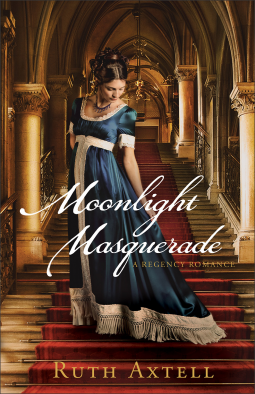 A fun Regency era read. Given the chance to advance his career, Rees Phillips poses as a butler to spy on the French born Lady Celine Wexham to see if she is really collecting and passing on information that would hinder the British in the Napoleon wars. Lady Wexham is nothing like Rees expected, being a young widow who's French Republican ideas have influenced her thinking and treatment toward her servants, making her a kind employer who actually acknowledges her servants. When Rees uncovers just how much trouble Lady Wexham is in, he is torn between wanting to protect her and longing to remain true to his country. I loved this book! It was rich in history and character detail, without trying to be exactly like a Jane Austen novel, a pitfall that a lot of Regency era books fall into. In other words, the story was fresh and originally. There is a lot going on, and I loved the historical details, since I didn't realize that there was a French court set up in England after the French Revolutionary war that waited until Napoleon was defeated to try and set up court in France again. I thought the story developed nicely without seeming rushed or drawn out. Also, Rees is actually a gentleman of character, much like the hero's in classic stories. Midnight Masquerade is a new favorite! The Christian Parenting Handbook is made up of 50 short chapters approaching different discipline problems that parents might have with their kids. I don't have children of my own, so I feel like I am not the best person to review this book. I was drawn to it though, since it approaches disciple through reaching a child's heart. Even though I don't have my own children, I feel as if this book is a good tool to have on one's bookshelf if you work with children through your job or volunteer work (like teaching Sunday school). Turansky and Miller don't try and set parents up with a formula to work with their kids, but rather encourage parents to look for the root of their discipline problems and try to reach their children's heart. I like how each chapter is short and to the point, which works well for busy adults, and that they include examples along with scripture verses in the chapters to validate the points they make. So, whether you have children of your own or you work with kids and would like ideas on how to help them mature in their talents, I think this is a marvelous book to have on your shelf. When Bailey Garner confesses at church of wanting to better follow God, Molly Lovelace feels her dreams crumble around her. Afraid of becoming an old maid and giving in to the pressures of her parents, she embarks on an adventure to find herself a husband that will win the approval of her family. As Molly's choices leave her comfortable life in ruins, she must come to lean on God more a friend then the distant Savior she always thought of Him as. After having read Sixty Acres and a Bride, I enjoyed that this novel went back to the same area of Texas and gets one caught up on a lot of the same characters. I also like that the story had several curve balls to keep it from being just another Christian historical romance. I thought Molly's journey was a neat one, and that the characters were well written, which redeemed the book from being just another piece of fiction. 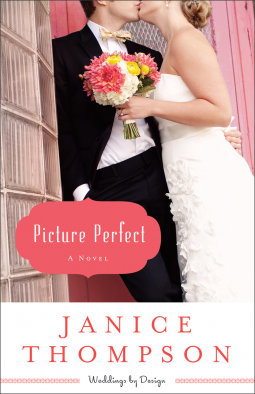 Fan of Sixty Acres and a Bride will not be disappointed! Life seems to have never been better for surgeon Matthew Newman. He just gave up a stressful practice in favor of a more prestigious position and he dreams of proposing to the girl of his dreams. Until late one night/early morning, he is leaving the hospital and winds up being kidnapped by two hired thugs. When he awakes from the whole ordeal, he finds himself in poor shape, a person of interest in a murder. Suddenly, all he thought he had evaporates and he is left to pick up the pieces, trying to figure out what God might have in store with the broken remnants of his life. This is the first book I have read by Richard Mabry. I was blown away with how good it was! The story flowed well. I liked that Matt had ways believed in God, but it wasn't until his life stopped going the way he thought it should that his relationship with God could deepen, since I think that is try in a lot of cases (I know it has been in my life!). The story had a nice, exciting flow to it, seeming neither rushed now drawn out. I liked that there was more than just a mystery, as Matt tries to move on with his life while trying to figure out who could want him dead. A must for mystery lovers! 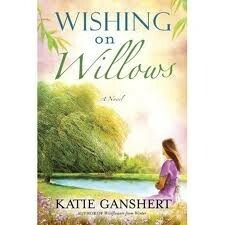 Wishing on Willows is the story of Amanda, who is trying to get over a dream lost to Africa; Ian, who seeks to win his father's approval after losing it; and Robin, the young widow who has created beauty from the ashes by starting the cafe her husband always dreamed of: a place of hope and healing for the small town of Peaks. When Ian breezes into their small town with promises of booming business if they allow his families company to build condos, he divides the town because it threatens the cafe and a local ministry. As Robin fights to hold onto all she calls hers, Hershey finds that their goals may be more similar than she originally thought. A story of grace and forgiveness. I felt a bit at a loss, since I didn't realize this was the second in a two part series. I still enjoyed the story though! Beautifully written with likeable characters. I also liked that the romance wasn't rushed and that the story had more to it than just another love story. Two thumbs up! The story of a group of friends who must find forgiveness and redemption after one of their group dies in a tragic accident. When Ivy Madison, the new assistant county attorney, waltzes into Deep Haven's fundraiser during Summer Solstice, she little realizes that she just bid on, and won, a date with the most un-eligible bachelor in town. Darek Chritiansen is a widower left bitter and angry after his young wife's tragic death. Can God's grace and the love of a good woman set him free? First in a new series by popular author Susan May Warren, the Christiansen family will draw you in and make you want to return to visit them. those collide with real life. As I started to put together this series, I began to think about our culture and our children today. even a heart of stone, if we take a chance on Him. God loves them, and that yes, He can heal the angry and broken-hearted. romances, and in the end it’s worth the journey to the happily ever after. good writer never stops learning. characters and journeys. Every story is a new adventure for me, and the reader.